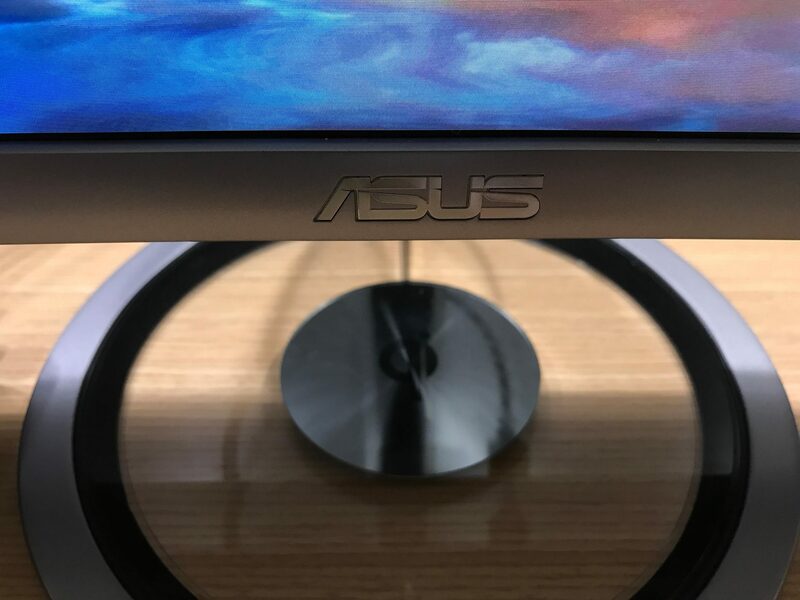 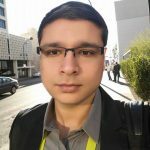 During my visit with ASUS at CES 2017, one of newest entries in the monitor lineup is an update to their Designo series of monitors, the MX38VQ. Their Designo line is aimed towards the everyday user, combining sleek build quality and decent IPS panels. 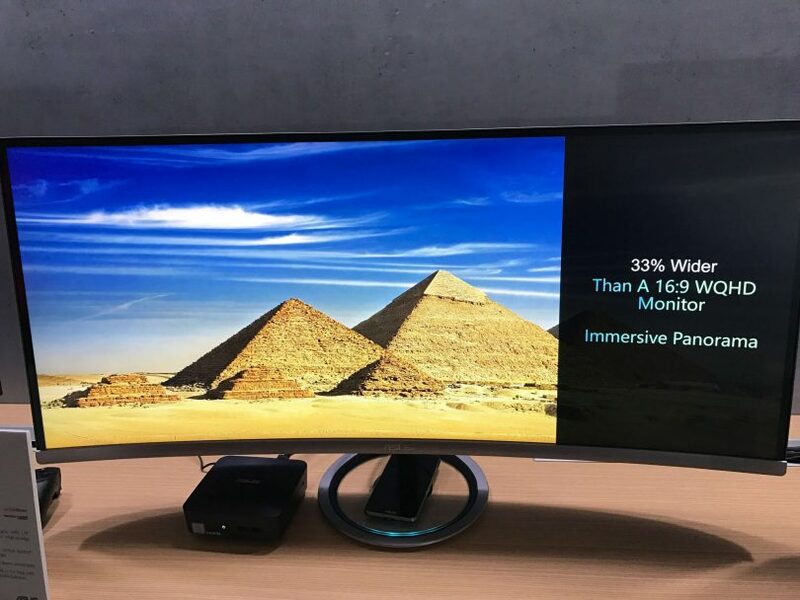 They also come fitted with above average sound, having used speakers from Bang & Olufsen in the past. 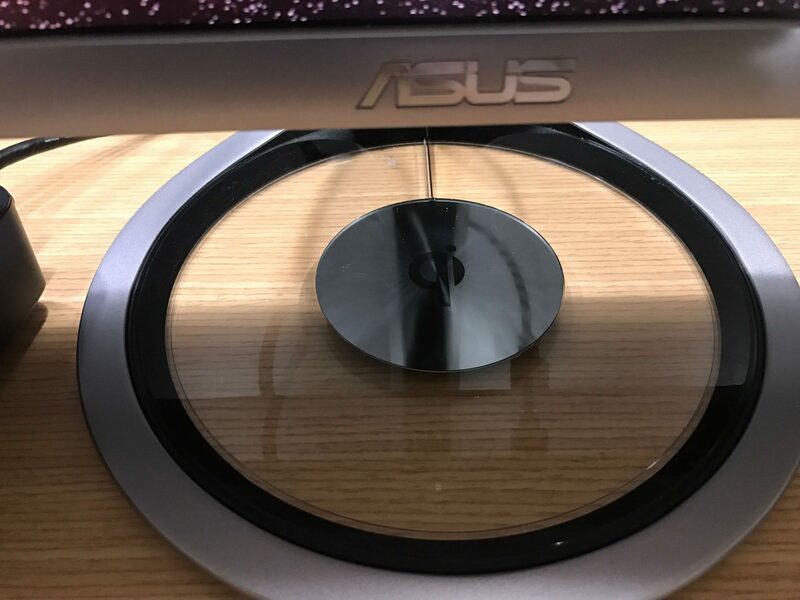 This time however, ASUS have shifted to Harmon Kardon for their aural needs with and 8 watt speaker. 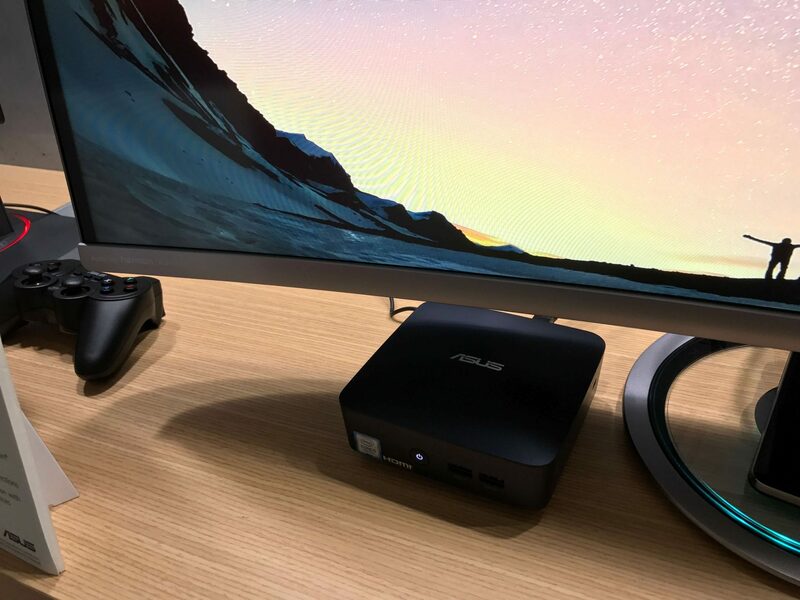 This monitor also features a nifty Qi wireless charging pad that will charge supported Android phones by simply placing it on the base. 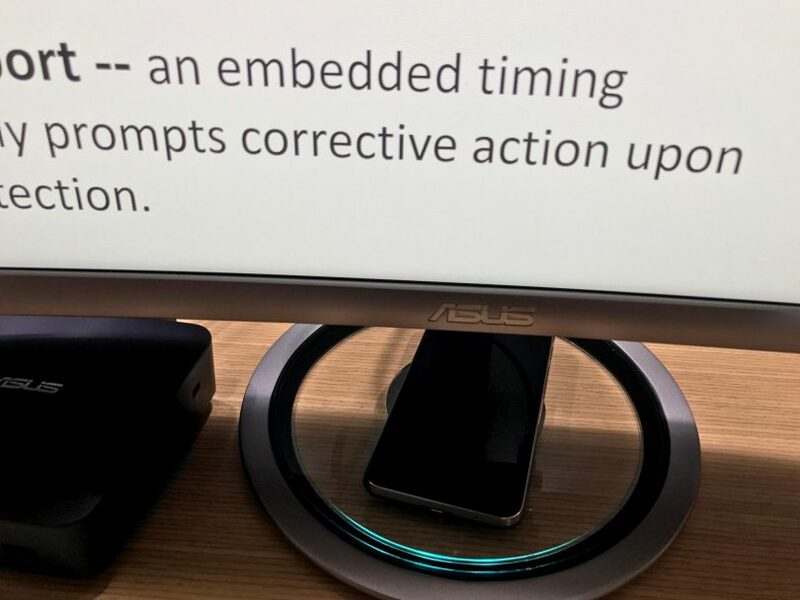 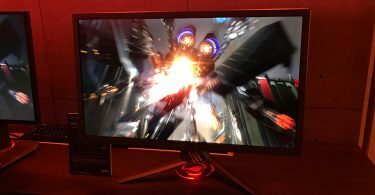 What most people don’t know, however, is that ASUS’ previous Designo monitor, the MX279H, is one of the strongest gaming monitors tested in our input lag database. 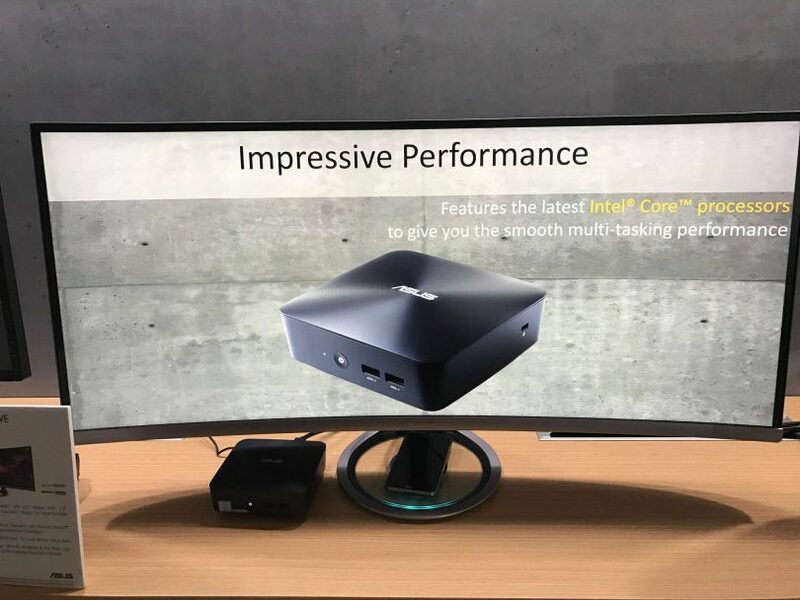 The monitor returned very low input lag values of 9ms, making it perfect for gamers that need the fastest input response from their games. 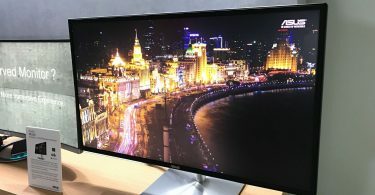 I’ve actually used the MX279H personally with heavy bouts of Street Fighter, and its input response has held up admirably against the best 60hz gaming monitors. 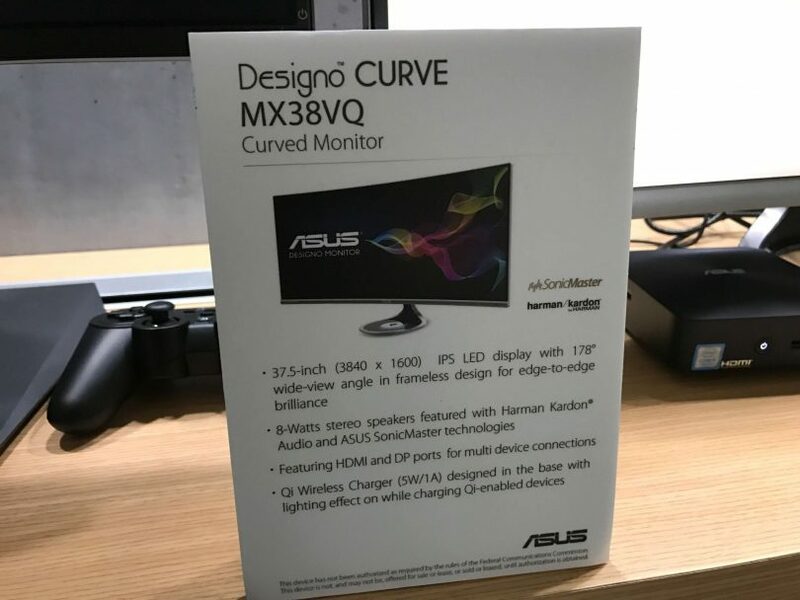 It’ll be interesting to see if the MX38VQ can provide the same low input lag in an ultrawide 21:9 aspect ratio. 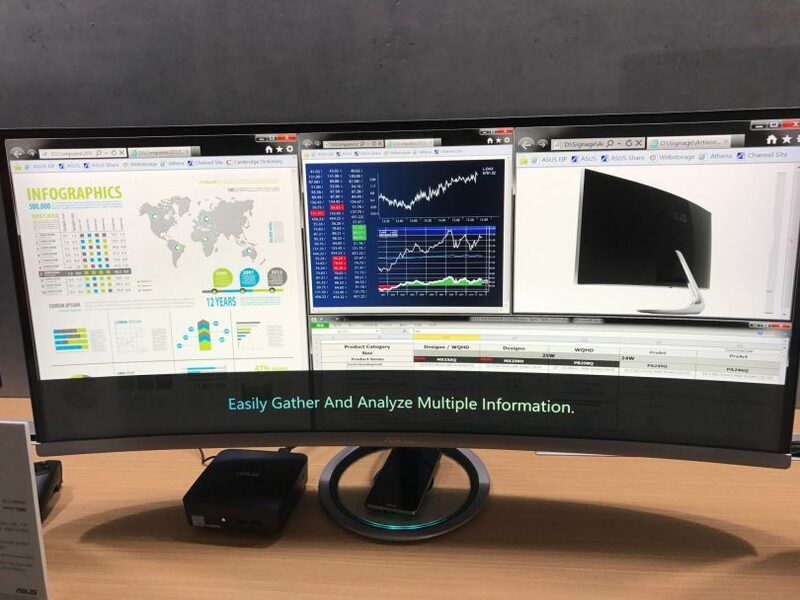 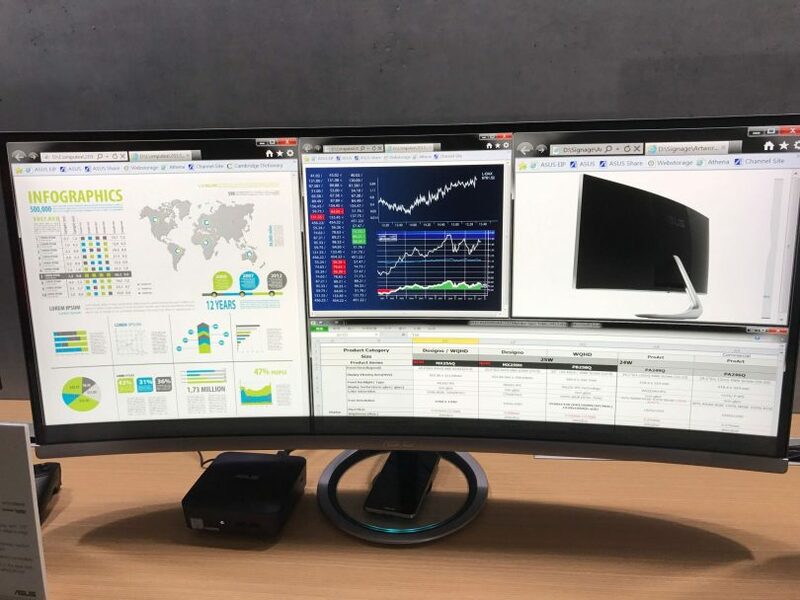 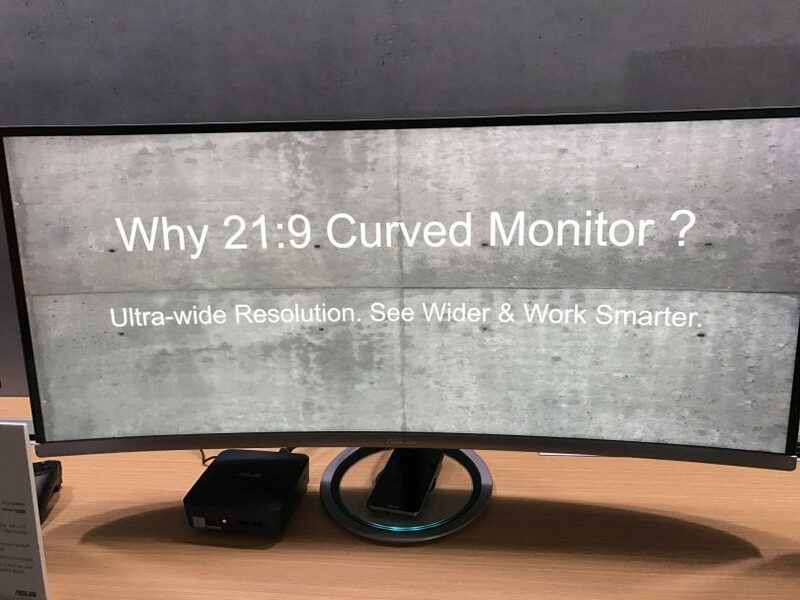 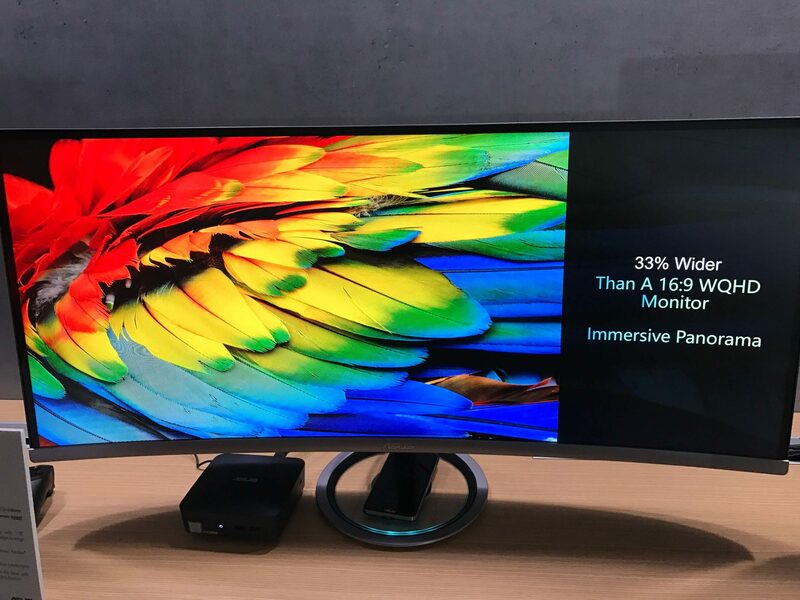 The MX38VQ clocks in at a massive 37.5-inches of real estate, making it one of the largest curved ultrawide monitors on the market. 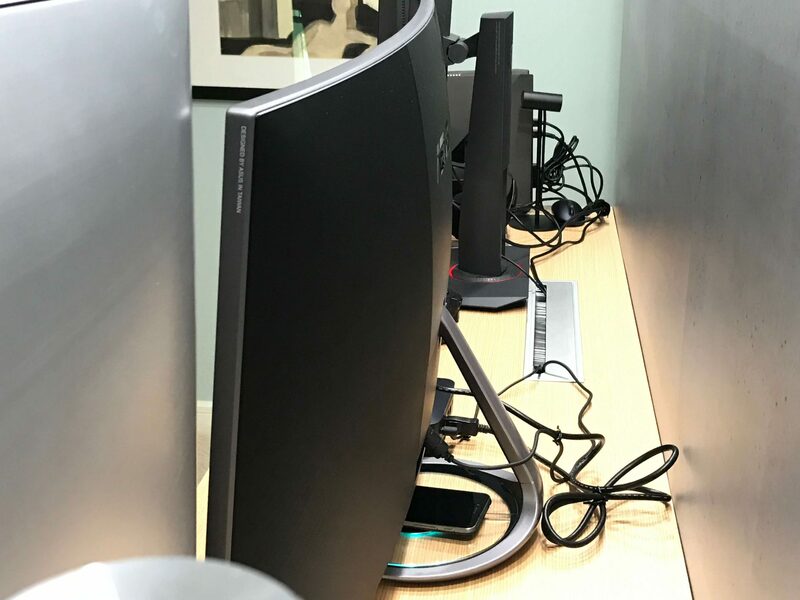 As a result, it takes advantage with a frameless 2300R curvature that is equidistant to the viewer’s eyes. 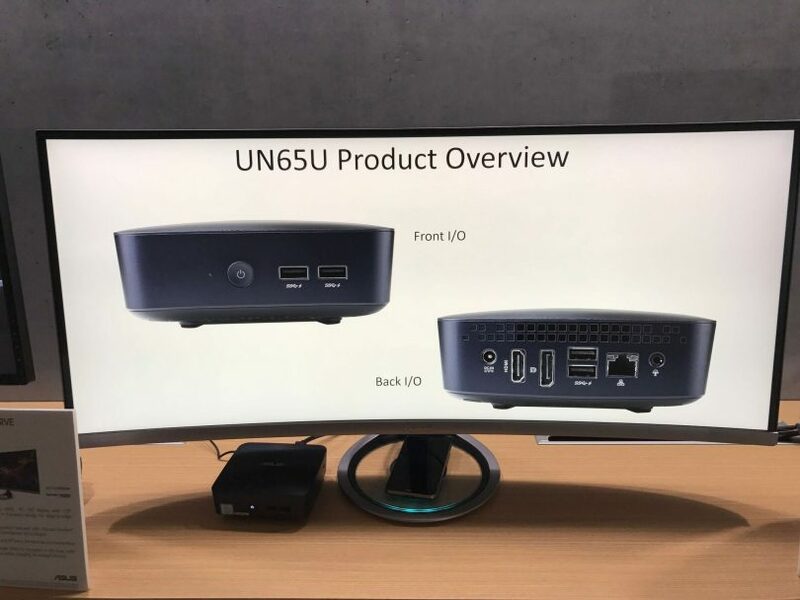 It features a crisp 3840 x 1600 resolution with an IPS panel, so you will need a pretty good GPU to power this thing with adequate frame rates and image quality. 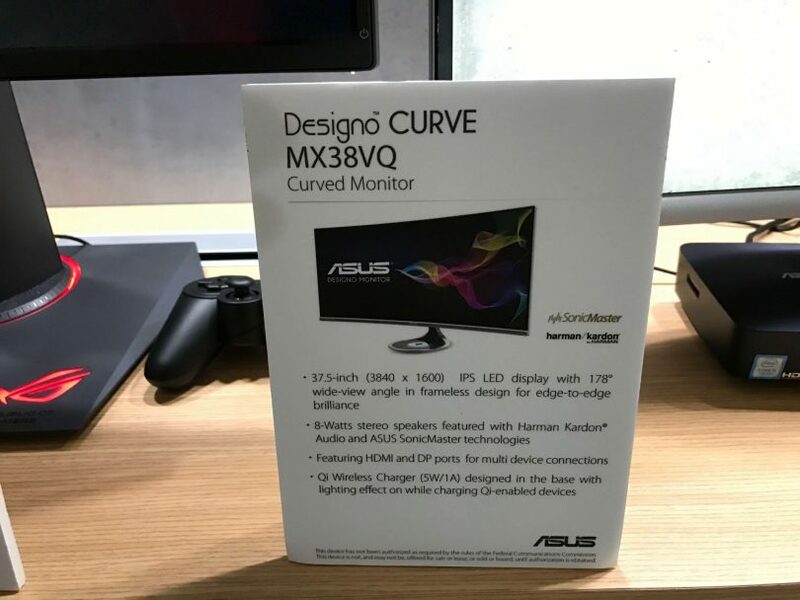 As the MX38VQ isn’t primarily marked as a gaming display, you won’t find variable refresh rate technology such as G-SYNC or FreeSync here, nor will you find a high refresh rate. 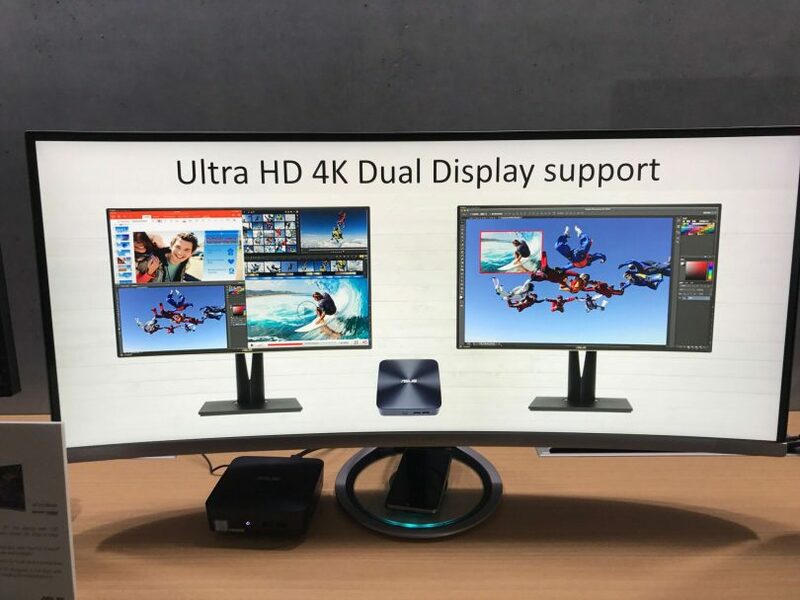 HDMI and DisplayPort inputs are included to connect all modern GPUs.